Do you know the best thing about running a website builder review site? It’s that I get to spend time pushing past the usual suspects with the biggest advertising budgets and seeking out gems that can help people create a beautiful website which ultimately, could be much better suited to you. Ucraft is one such gem as we’ll be finding out right here in this review. #1 Easy to use even for beginners: To be honest, I did have to watch a couple of tutorials to understand how everything worked but I soon got into the swing of it and really enjoyed creating my test site. Ucraft has a knack for offering plenty of customization options without overwhelming people. #2 Robust design templates: There may not be that many to choose from (52) and they’re fairly generic. Having said that, they’re well designed, very customizable and serve as a great starting point for your site especially if you have some good quality images to really make your site your own. #3 Fantastic support team: Over the three days I spent reviewing Ucraft, I bombarded the team with questions via live chat & email and always received a fast, polite response which solved my issue. #1 Create & manage your site from a desktop/laptop only: If you’re anything like my partner who does just about everything these days using her tablet or phone, then you may be a little disappointed as you can’t create your site using a mobile device at this point in time (I should point out that all Ucraft websites look good and function properly on smartphones and tablets). #2 Lack of integrations: Lack of integrations was one of the most common issues mentioned amongst Ucraft users. Personally, I feel they have all of the essentials in place and what they lack, they recommend third-party applications to plug the gap. This, of course, can mean additional accounts and costs but is fairly common in the world of DIY website builders. Premium Plans: Range from $0 – $39/month when paid annually. Recommendation: Ucraft is ideal for a small business website, portfolio, one-page website, or a small online store. Ready To Get Started? Click here to take Ucraft for a free test drive! 2. Is Ucraft Easy To Use? 9. What Do Ucraft Users Think? You can take Ucraft for a free 14-day test drive which is more than enough time to get a feel for things and decide whether it’s for you. Landing page – A modern single page site that’s great for mobile users. Website – The more common, regular type of website with multiple pages. eCommerce – An online shop to sell your products. In my last review, I created a one-page website so this time I decided to put Ucraft to the test with a regular website. Once you’ve made a decision, the next step is to create a template which will act as a starting point for your new site. *Note: You also have the option of starting from scratch with a blank canvas if you prefer. Ucrafts templates (52 to choose from for a regular website), span a variety of different categories such as business, eCommerce, personal, restaurant, travel, sports, art, design, photography, portfolio, and a blog. I dived into the business category which then narrowed down my choice to 27. Now, I’m not saying that I dislike the templates on offer, but they are rather generic and you’ll need to use some good quality images to personalize your site (alternatively, Ucraft has a library of stock images that you can use). The advantage of using a template rather than starting from scratch is that they come with sample content in the form of text and images which you can swap out for your own. My business template already had a home, about, contact, and services page laid out waiting for me. Before you get stuck in customizing your template, a short welcome video pops us which gives you a brief overview of how everything works which I definitely recommend. When it comes to website building tools, some platforms simply scatter them around the screen and it can feel a little intimidating but Ucraft have organized them neatly for you in the main menu on the left-hand side of the page. #1. Blocks -These blocks are ready-made pieces of content that you can drag over to help you build your pages much quicker. You’ll find blocks for an about section, contact forms, featured products, and image galleries. You can add as many or as few blocks as you wish to any given page and once they’re in place, you can begin editing them. At first glance, there appears to be a large selection of blocks but I quickly realized that many served the same purpose. Personally, I’d like to see a block for pricing tables and a menu added to the selection. #2. Elements – If you don’t wish to use the blocks or you can’t find one to meet your needs, your best bet is to jump into the elements section where you’ll find the tools to create your own such as headings, paragraphs, buttons, calendars, buttons, and maps (the list continues). When I was creating my bakery site, I was hoping to find a block for a menu but there wasn’t one. Instead, I created a new page and made my own using elements. I later realized that all of the restaurant templates already came equipped with one which I could have customized….doh! #3. Designer Tools – When you begin customizing your site, you’ll likely want to move things around, play around with fonts, adjust this and adjust that. To do these things, you’ll simply need to activate the Designer Tools which you’ll find in the main menu. Ucraft used to charge extra for these but now they’re free. Nice move guys! So, to answer the question, Ucraft isn’t by any means difficult, but you’ll probably need to spend a little time familiarizing yourself with the tools and features and maybe even watch some of the tutorials first. Once you have your main pages laid out, you’ve added your text and images, it’s then time to begin adding a little functionality to your shiny new website! Contact form: With Ucrafts customizable contact form, it’s up to you what information your visitors give when they decide to get in touch. Just collect the basics such as name, email, address, and their message, or go a little further and add additional fields such as calendar, checkboxes, and drop-down menus. Appointment Scheduling: Ucraft doesn’t have an in-house solution for bookings and there aren’t many platforms that do. Instead, they recommend a third-party application called Calendly. Calendly integrates into your Ucraft website and allows clients to schedule appointments and classes according to your calendar. You can also accept payments. Calendly has a free plan available and two premium plans depending on your requirements. Image gallery: Showcase your products, images, or talents online by adding a photo gallery to your site. Whats more, Ucraft have a built-in image editor to help you show off your pics in the best light possible. You can also add titles and descriptions to each of your images to help them show up in the search engines. Social media integration: Place your favorite social media buttons such as Facebook, Twitter, Google+, LinkedIn, and Pinterest on your page making it easier for visitors to follow you over to those platforms and share your content. You can also display your Twitter or Instagram feed directly on your site. Customer reviews/testimonials: Like the appointment scheduling, Ucraft recommends using another third-party tool to collect reviews and testimonials from your customers called Typeform. Ucraft walks you through creating a form or survey and then integrating it with your site. It’s a fairly simple process but I couldn’t find an attractive way to then display reviews on your site. Typeform has a free plan which should be enough when starting out and you also have the option of two premium plans. Password protection: You can assign a password to individual pages to keep them private. Newsletter: If you’re looking to collect visitors email addresses in order to keep them informed of updates and send them special offers, Ucraft gets you halfway there. By adding the Subscription element, a customizable form will be added to your site allowing you to build a list of subscribers. Their details will be forwarded to your email address but if you’re serious about email marketing, you’ll need to integrate with a specialized platform such as MailChimp (free and plaid plans available). Visitor stats: From experience, it can almost addictive checking your visitor stats when you first start out wondering how many people have visited your site that day and which pages they read. Ucraft has a step-by-step tutorial showing you how to hook up your website to Google Analytics which gives you detailed information about your visitors and their behavior while on your site. Pretty good actually and you won’t have to do an extra work to achieve it as it will automatically shrink down to fit tablets and smartphones. I should point out that currently, there isn’t a way to make changes to your mobile site alone. To some, this may be music to your ears as it means no additional effort is required whereas to others who prefer to customize (like myself), may be left feeling a little disappointed. I started out loving Ucrafts blogging platform and it couldn’t be any simpler to get started (simply add a new page and drag over the “Articles” element). It seemed to have all of the important features such as the ability to add a featured image at the top of your page, a separate image for social media, schedule posts to be published at a later date, stay organized by assigning posts categories & tags, and allow visitors to share and comment on your posts. Then, I tried to add an image a little further down the post and couldn’t figure out how to do it. The usual image element wouldn’t work and I thought I was missing something glaringly obvious. I contacted the support team and it turns out I wasn’t missing anything, it’s simply not possible. I’ve been assured that the team are working on it and will let me know when it’s possible so I’ll update this section as and when it happens. As I mentioned in the beginning, if eCommerce is your main goal then you can choose to create a store right off the bat or add one to your store at a later date which is the option that I chose. In true Ucraft style, adding a store is just a simple as adding an image. Simply create a new page, drag over the shopping cart and product elements, delete the sample products and begin adding your own. I have to say, Ucrafts store capabilities pack a powerful punch and allows you to sell both physical and digital products directly through your website. There are a ton of settings and features which you can apply to your store and their handy “wizard” will walk you through the process step-by-step. Add product item numbers and weights. Send customers reminders if they abandon their shopping carts with going through the checkout. Integrate your store with Facebook and Ebay. Ucraft automatically calculates tax depending on the users’ location. Invoice templates which can be personalized with your business details. Set flat rate shipping or integrate with carries such as UPS to get real-time rates. If I was going to create a store today then I would give Ucraft serious consideration thanks to their powerful yet beginner-friendly platform. There is just one thing that puts me off a little and that is I can’t find a way to import or export products from a spreadsheet. This could mean hours upon hours setting up product details if you have a lot of products and then you’d be forced to do it all over again should you decide to move away from Ucraft down the line. This could be an issue for users who intend to sell hundreds of products. There’s little point creating a website if no one’s ever going to find it right? To stand a chance of popping up in the search engines, it’s our job to tell them exactly what the sites about and help them to find their way around. From the main dashboard, you can click on the SEO button and you’ll then be able to add descriptive titles and descriptions to each of your pages. You can also do the same for each of your images as you upload them which is also crucial for your visually impaired visitors. Ucraft automatically creates a Sitemap and then shows you how to submit it to Google and Bing. This is exactly how it sounds, a map that allows the search engines to visit every nook and cranny of your site which can only lead to better rankings in the search results. Ucraft has a plenty of written tutorials available helping you through all aspects of building your site from adding a logo, to setting up a store, to installing third-party integrations. If you need to contact the support team, you can get in touch with them via email or live chat. I contacted them via email in regards to my issue with the blog images and received a response within 15 minutes! Now, I’ll have to check, but I think that maybe a new personal record for email support. It’s all well and good sat here listening to what I have to say about Ucraft, but what about their customers? After all, they’re the ones using it day-in, day-out in a real-world environment so let’s take a look to see what think. Okay, so there aren’t exactly thousands of reviews, but that’s because Ucraft is still relatively new in the website building space compared to some of their long-serving competitors. Still, the user reviews that are available are very positive which is a great sign. 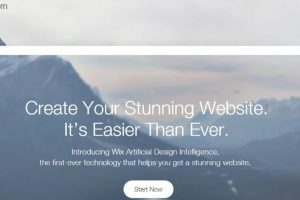 From studying the reviews, people seem to love how easy it is to create a good looking website and many of them mention how great the support team is. When asked what they don’t like, many answered “nothing” which I have to say, is very rare! One thing that did crop up a few times is that people would like to see more integrations to add further functionality to their site. Ucraft has done a great job so far creating a robust, easy to use platform that’ll help you create a great looking functional website for your business or project. They also have a fantastic support team on standby which should help you sleep a little easier at night. However, it’s still early days for Ucraft and at this point, it’s not perfect but I for one will be keeping a very close eye on their developments and I’m excited to what they have in store over the coming months and years. As the title suggests, I believe Ucraft to be a true diamond in the rough. If you have any questions, ask away in the comments section below. Maybe, you’ve used Ucraft yourself and if so, I’d love to hear about your experience (good or bad).